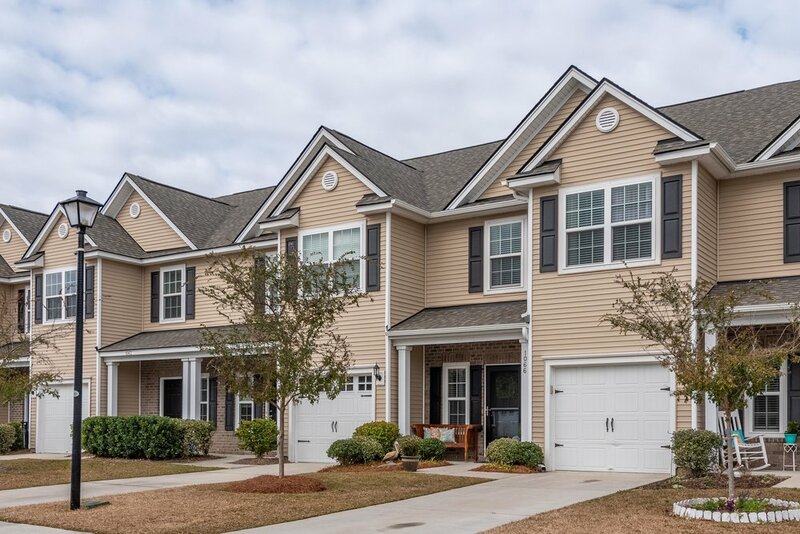 Beautifully upgraded townhome in Cain Crossing! Downstairs you'll find a huge living room with hardwood floors and 9 ft ceilings. Kitchen has 42-in cabinets with under cabinet lighting, gorgeous granite countertops, stainless steel appliances plus a pantry. Screened porch off the dining area overlooks fenced yard. Oversized master suite upstairs features dual vanity sinks, linen closet and large walk-in closet. Two guest bedrooms, full bath and laundry are also upstairs. Attached garage provides ample storage. Cain Crossing is conveniently located between Hwy 41 and Clements Ferry Road for easy access to I-526 and Mount Pleasant. Low maintenance living! Regime includes neighborhood pool, dog park, termite bond and front yard landscaping.